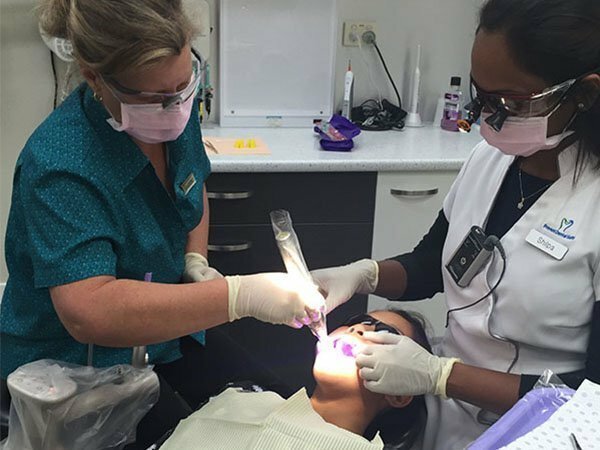 Our dental clinic is located in Kallangur and it serves the local communities in Kallangur, Lillybrook, Warner, Petrie, Strathpine, Griffin, Mango Hill, Lawnton, Deception Bay, Narangba, North Lakes, Murrumba Downs and all North Brisbane areas. Get the care and comfort your deserve from your trusted dentist Lillybrook here at Prevent Dental Suite. 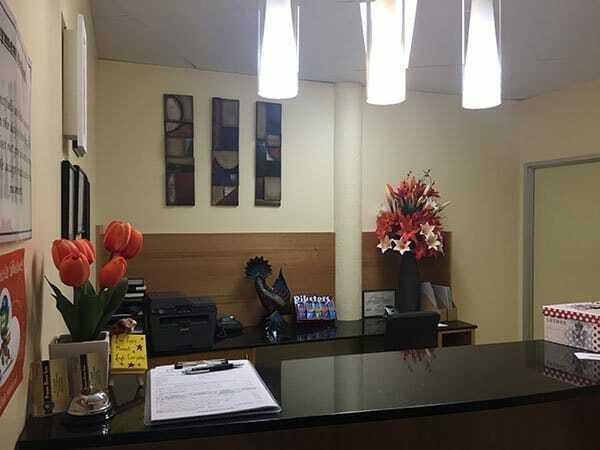 Experience one of a kind dental service in our modern and welcoming clinic. Prevent Dental Suite is your second home for health and wellness. We have a strong emphasis on prevention and provide wide-ranging preventative care services to help you and your children avoid various oral health diseases and costly, extensive procedures. 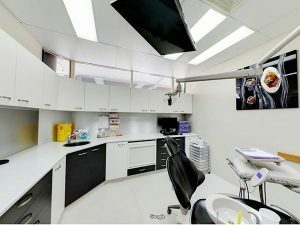 Using state of the art equipment, pain-free methods, and the latest dental techniques, Prevent Dental Suite is a perfect place for your all your dental health needs and concerns. Keep a healthy set of teeth, improve the appearance of your smile, and achieve optimal oral health with our advanced dental treatments and services. At Prevent Dental Suite, we support Child Dental Benefits Schedule and we want you to maximise your child’s benefits before the end of the year. CBDS is an excellent way to help your child live a life without the discomforts of toothache and other dental issues. Dental emergencies can happen anytime. Prevent Dental Suites offers same-day dental emergency for patients from Lillybrook seeking a skilled and responsive emergency dentist. Time is of paramount importance in any dental emergency. Prevent Dental Suite, your trusted emergency dentist in Lillybrook, guarantees a same-day emergency appointment for you and your loved ones so can be free from pain and worry as soon as possible. Call us or request emergency appointment online. Sedation dentist serving local community in Lillybrook, Kallangur, Petrie, Murrumba Downs, North lakes and all North Brisbane areas. At Prevent Dental Suites, we go above and beyond to help improve your dental care, oral health, and the appearance of your smile. We are your partners in your dental and general health, and we want to give it to you without anxiety! Dental Anxiety: Fight Back Against The Fear! Single tooth dental implants at affordable price! 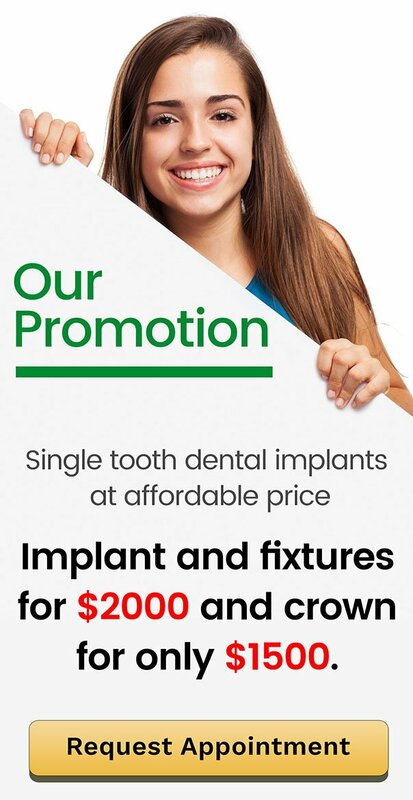 Implant and fixtures for $2000 and crown for only $1,750. Do you have stained or yellowish teeth? Are you ashamed to smile because of the stains? Don’t worry, Prevent Dental Suite can help. Experience revolutionary teeth whitening procedures at our dental facility and say hello to your more radiant smile! We have in office and take home services available for our teeth whitening treatment. Our in office treatment, Zoom Whitening usually requires one dental appointment, and provides amazing result after only an hour in the dental hair. The results can be up to eight times better. Our take home services provides flexibility for our patients who wish to whiten their teeth by themselves. Bleaching trays crafted from each patient’s unique measurements as well as the usage instructions are given for this type of treatment. Enjoy Zoom Whitening In-Chair for only $399 (normally valued at $899) and Take Home services for only $299. But wait! You can avail of both offers for a cheaper price. Avail of our Zoom Whitening In-Chair plus Take Home Maintenance Kit for only $599. We encourage you to take advantage of our latest offers. To find out more, visit our promotions page. Schedule your next dental appointment at Prevent Dental Suite. We are a family friendly dentist serving patients of all ages in Lillybrook, Kallangur, Warner, Murrumba Downs, North Lakes, Petrie, Strathpine, Griffin, Mango Hill, Lawnton and surrounding areas in Brisbane northside. Call us at (07) 3886 2428 or book your appointment online TODAY!